Since opening the doors to our Medical shop in 2010, we have always held firmly to our beliefs about the medicinal properties of cannabis and made it our mission to facilitate access for those in need. Our primary goal in expanding into the Recreational market was to reach an even broader audience and include those who wouldn’t qualify for a Medical card. We believe that no matter which side of our store you frequent, cannabis is medicine for everyone and our life’s work is to help as many people as possible learn about and benefit from its healing properties. Due to unfortunate licensing policy changes by the City of Denver, on November 30, 2018 GroundSwell will close the chapter on our Medical license. We will continue to serve our Medical patients through our Recreational product offerings while honoring the price points they would expect by offering a 25% discount to all medical card holders. The majority of our Medical products have Recreational counterparts that are virtually identical, and we’re proud to uphold our standards for the products we offer across the board. We’ve also made arrangements so the few Medical products that do not have a comparably-dosed option (most notably, ioVia tinctures and creams) will be available at nearby locations we trust to take care of our patients. We recommend Verde Natural on Colfax for patients looking for an alternate Medical shop. Our GSCS program will carry over any points accumulated and the rewards will be available to redeem at any time. We’re confident in our ability to continue to serve our Medical patients in the caring and conscientious manner they expect from our GroundSwell staff while providing industry-leading products and flower. We regret any inconvenience this causes and we’re committed to making this transition as smooth as possible for our Medical patients. Our management team is available to answer any questions or concerns. We’re looking forward to continuing to serve you with the same care and service in the years to come. It’s getting cold out there, and staying warm is a lot harder for those in need. At GroundSwell, we’re committed to serving our community as well as our patients. That’s why we’re holding a November Coat Drive during the entire month of November! Bring in any winter coat in good condition, and we’ll give you 15% off your order. Join us in helping to give back to our community! The 12th annual Boo n’ Brew, hosted by the Bluebird Business Improvement District will once again take over Colfax Avenue between Josephine and Colorado Blvd. on Saturday October 27th. The event is two parts – one-part Kids and Family fun, from 1-4pm and one-part Adult self-led Halloween bar crawl. From 1-4pm Colfax will come alive with the cutest costumed kiddos, a family friendly block party, complete with trick o’ treating at more than 20 Colfax Businesses, live music to keep moving, pumpkin decorating, a bouncy castle at Tiger Kim’s, face painting and MORE! Later that day, Boo n’ Brew welcomes back the adults (or maybe just don’t ever leave?! ), for a Spooktacular bar/restaurant crawl. Participating businesses will offer the best drink specials in town, live music, costume contests and more. It is an opportunity to meet, greet, celebrate fall and say hi to neighbors and business owners alike! Having trouble deciding which dispensary in Denver to visit? Here are a few of our favorites. Welcome to Denver—ground zero of the green rush. At the end of the first year of recreational cannabis sales in 2014, there were 147 licensed retail stores in Colorado. Cut to five years later and it’s hard to imagine that cannabis was once illegal here, with 529 licensed retail stores in the state (as of May 2018). The majority of our picks are the OGs of Denver’s medical marijuana dispensary scene, first opening their doors in 2009, and since expanding their cannabis offerings for patients and recreational consumers alike. For visiting cannabis enthusiasts, a dispensary is always on the itinerary, but with an overwhelming number of options, it’s hard to know where to even start. And for all canna-curious newbies, finding a shop that employs a staff with expert-level knowledge is essential in navigating ever-growing menus of flower, edibles, topicals, concentrates, and accessories. Here are the 15 best recreational marijuana dispensaries in Denver that’ll make your time in the Mile High City even higher. “Fill up on Diesel” at this funky former gas station turned downtown dispensary. Located in the heart of downtown Denver in a former gas station adorned with graffiti art, it’s the perfect pitstop before catching a Rockies game at Coors Field or a night out on the town. Owned under the Rocky Mountain High umbrella with seven locations across the state, its flower is award-winning. In fact, they just took home a 2nd place trophy for “Best Colorado Sativa Flower” at the High Times U.S. Cannabis Cup in Denver. With a pair of industry bigwigs behind it all, the power of its flower speaks for itself. Cannabiz pioneers, Tim Cullen and Ralph Morgan, founded Colorado Harvest Company (formerly Evergreen Apothecary) in 2009, now holding 36 state and local licenses in Colorado. They also happen to be the brains behind the best-selling vaporizer brand, O.penVAPE and the nation’s largest organic hash oil production company, OrganaLabs. Inside any one of their three Denver area retail stores, you’ll find a minimum of 20 freshly harvested strains on shelf that are organically cultivated in three innovative facilities totaling 55,000 square-feet. Customers praise the always-friendly staff and the expert-level of knowledge they drop from behind the corrugated metal bud bar. The Yale location is worth the trip from downtown, where you can step inside their own branded Volkswagen “magic bus” for a selfie. A sleek, high-style space is matched with high-quality flower. Diego Pellicer leans on luxury for the consumer experience with affordable pricing for premium products. Its concierge-style level of service from its staff of “marijuana sommeliers” stands out and earned employee Gladys Solis the honor of “2017 Budtender of the Year” at the 7th Annual Cannabis Business Awards. 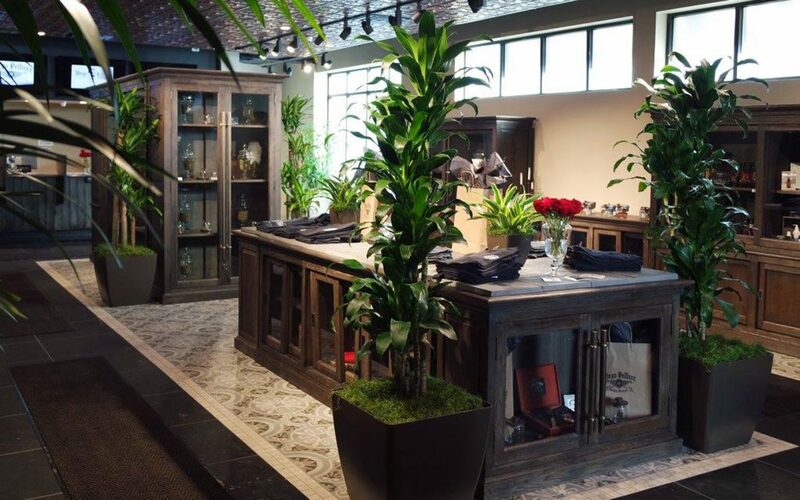 The boutique, which has an equally as beautiful second location in Seattle, also took home trophies for Executive of the Year, Manager of the Year, and Retail Store of the Year. Its 3,600-square-foot flagship store opened on Colfax Avenue as one of Denver’s first higher-designed, state-of-the-art dispensaries. 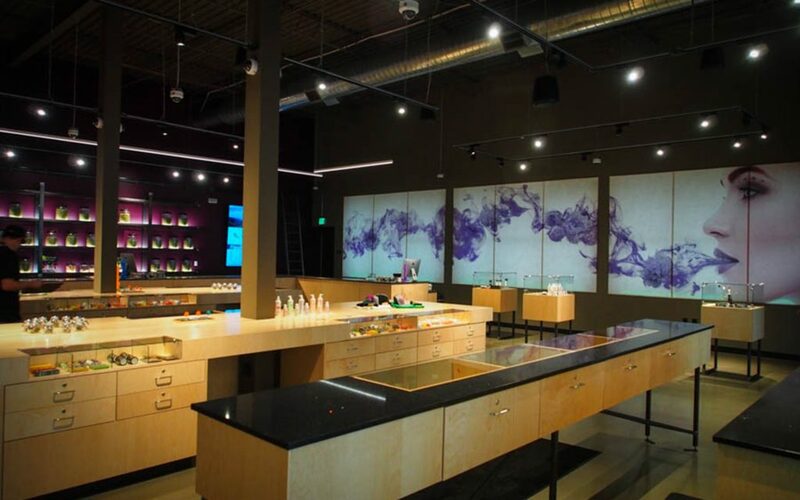 Since then, two more locations (Aurora and South Broadway) have opened and the company’s signature color-coded “effect categories” of recommended uses (Amplify, Relax, Relieve or Sleep) guide customers toward an experiential-focused product selection process steered by a knowledgeable staff. More than 60 strains of flower, extracts and concentrates are cultivated under the Good Chemistry Nurseries umbrella, whose products are also available in select Nevada retailers. Founded in the spirit of “making life better” for those in need, Good Chemistry is also committed to giving back, officially supporting ONE Colorado, Capitol Hill United Neighborhoods, Denver Police Brotherhood, Comitis Crisis Center of Aurora, the Harm Reduction Action Center, the Aurora Police Association and more. Homegrown in the High Rockies since 2009 with 12 Colorado-proud locations. With a state-of-the-art grow facility at its Glenwood Springs-based headquarters (and a second in Denver), Green Dragon produces premium flower for its 12 Colorado locations the state. 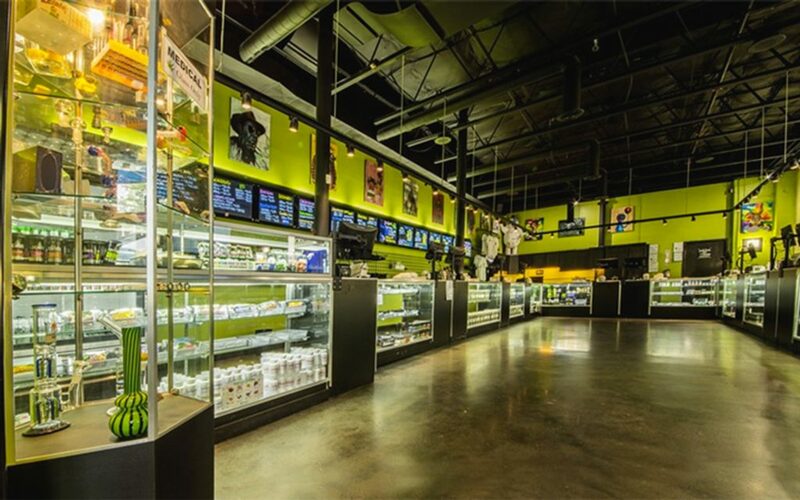 A selection of Green Dragon exclusive strains, which come in precise, plastic sealed to-go packs (making transactions faster than most dispensaries) line the wall behind the counter cases where you can also find a deep collection of Colorado’s leading edible, concentrate, and topical brands. Locals and tourists alike keep coming back for competitive prices and freebies from its loyalty VIP program. Beyond the Denver metro area locations, you can also follow the Green Dragon to ski country and stock up at outposts in Aspen, Breckenridge and Telluride before shredding the gnar. This ever-expanding chain sets the customer service standard with concierge-level attention to shop through an extensive product selection. Although it’s family owned-and-operated by Colorado natives, The Green Solution (TSG) has grown into one of Colorado’s largest dispensary chains with 16 locations in the state. Their award-winning (the current tally is at 70 and counting), premium flower is available in six tiers: Private Stock (competition-grade), Feature (particularly phenomenal harvests), Top Shelf (the perfect balance of quality and price), Store Special (high quality flower for limited time discounted price), Value (smaller buds) and Ground (residuals from trimming that are ready to roll). At its 20,000 square-foot facility in Denver, TSG also produces a signature line of concentrates, Nectar Bee. Traveling west on I-70 when in town? Be sure to exit at Silver Plume for a stop in TSG’s official outlet store where everything, yes everything, is deeply discounted. Committed to improving the Colfax Avenue community through cannabis. When T.H.C. are the initials, it has to be on point. This log cabin-esque depot has a “Cannaboose” on the property—in the form of a 1927 train car the owners inherited when they purchased it in 2010. The cool factor continues to the back of the building, which rotates with commissioned, custom graffiti murals by local artists. 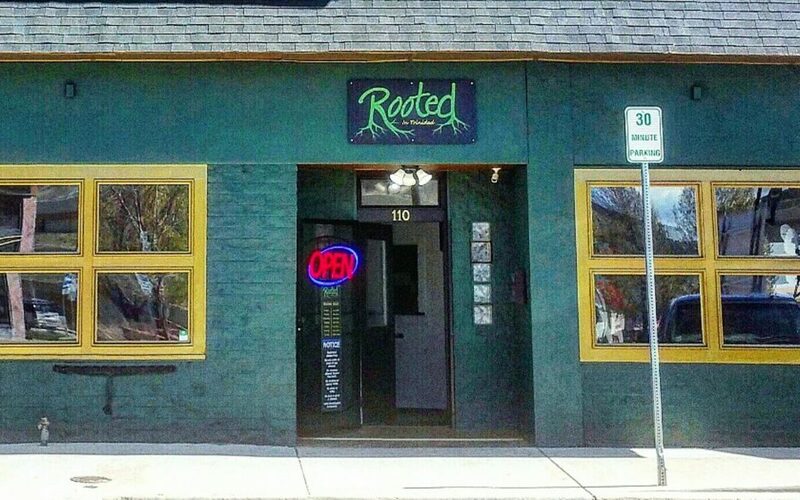 Inside, you’ll find exotic strains—only $20 an eighth all day, every day. “The Cure Crew” is a tight-knit team, and they shine when it comes to their customers. A medically focused staff shares knowledge for all cannabis consumers. Led by a team of longtime industry experts, Kind Love has a large selection of the highest profile product portfolios on the market across all categories. For a try at growing your own, grab a seedling from the Clone Bar—a rare offering in Denver’s dispensaries. Customers love the “Kind Club Loyalty Program” where members earn points for rewards good for everything in the store. Bonus: they’re open later than most other dispensaries, until 11:45 p.m. (seven days a week) to accommodate busy schedules or wild weekends. The first and only adult use indoor grow in Colorado to achieve Clean Green Certification—an initiative modeled after the USDA National Organic Program. With a long list of awards and accolades, L’Eagle Services has set the standard in organic cultivation practices since its opening in 2010 in an industrial park near downtown. Its stellar budtender staff runs the recreational retail space on-site making its flower and in-house cured concentrates among the freshest you’ll find in town (or anywhere). Co-owner Amy Andrle is a founding member of the Cannabis Certification Council, a Denver-based non-profit that independently certifies cannabis products as “Organically Grown and Fairly Produced.” You can find hard-to-find-clones here, too. Run by a team of scientists, farmers and experts, this chain is committed to quality and powered by an unwavering passion for the plant. Education, responsibility, and enlightenment are the ethos of LivWell, a family owned chain of clean, bright boutiques. Founded in 2009 “with one little clone and one very big dream,” LivWell has grown to seven stores in the Denver metro area with a total of 14 statewide (including one more in Springfield, OR). In addition to stocking their own lines of award-winning flower and specialty label concentrates, edibles and topicals, LivWell is also choice among celebrity-backed brands like Leafs by Snoop and Willie’s Reserve. Their dedication to elevating the industry goes beyond the dispensary, too, through philanthropic arm, LivWell Cares, which works with a host of organizations where it operates to raise funds and cultivate community. A celeb musician favorite, it’s usually the first stop on a Denver tour stop. What began as a medical dispensary on the 16th Street Mall in 2013, Native Roots’ signature black and white pop-art graphics mark the spot at each and every one of its 20 shops across the state (and counting). Now considered one of the largest chains of marijuana shops in the US, its crew of homegrown owners have blazed a trail for the entire industry. Modern, bright displays showcase signature strains, concentrates, and the pioneers in the product space from Mary’s Medicinals and Apothecanna, to Sweet Grass Kitchen, to marQaha. And picking up a pack of Native Roots Shorties (five mini joints) for party favors is a must. A.K.A. “Natty Rems”—a four-time High Times Cannabis Cup winner. Family-owned-and-operated, Natural Remedies opened in 2009 as one of Denver’s first 20 medicinal cannabis dispensaries, its loyal customers continue to hit “Natty Rems” for its award-winning flower and in-house concentrates line of CRx, cultivated by hand in two offsite warehouses totaling over 30,000 square feet. In the downtown shop, you’ll find a smart staff behind the curated counters filled with edibles, topicals, accessories, and CBD products along with more than 20 strain varieties on rotation. Pro tip for picks: Gorilla Glue (hybrid), Bob Saget (sativa), and Natty Rems OG (indica). This mom-and-pop shop is beloved for its hand-cultivated landrace strains. A collection of some of the most exclusive cannabis in the country, Sacred Seed more than merits its name offering true landrace strains, all of which are procured from seed—not unreliable clone stock. With a focus on elevating wellness, the self-proclaimed “mom and pop shop” cultivates its grow operation by hand and infuses its own line of waxes, shatter, crumble, and oils under the label of Sacred Seed Pharms. The college coeds in the neighborhood head here for its spirited staff, competitively priced menu, and monthly discount specials. Pot, politics, and food is what they do at this forward-thinking cannabis company. Opening the first black-owned dispensary in Denver, entrepreneurs Wanda James and Scott Durrah are also military Veterans, so extensive education and advocacy is at the forefront of Simply Pure. As one of High Times 100 Most Influential People in Cannabis last year, James, in partnership with her husband Durrah, are paving the way in a movement that extends way beyond their elevated retail experience. Among their multiple business endeavors in the industry over the years, they got an early industry start in 2009 as hosts of “Creative Cooking with Cannabis“ to sold-out audiences in the Denver area (long before canna-chefs were a thing) and are rolling out a new schedule come summer. See the original article at High Times Magazine. People in Colorado pride themselves on their tolerance – for high altitudes and marathon ski sessions, sure, but also for high-ABV craft beer and super-potent cannabis. 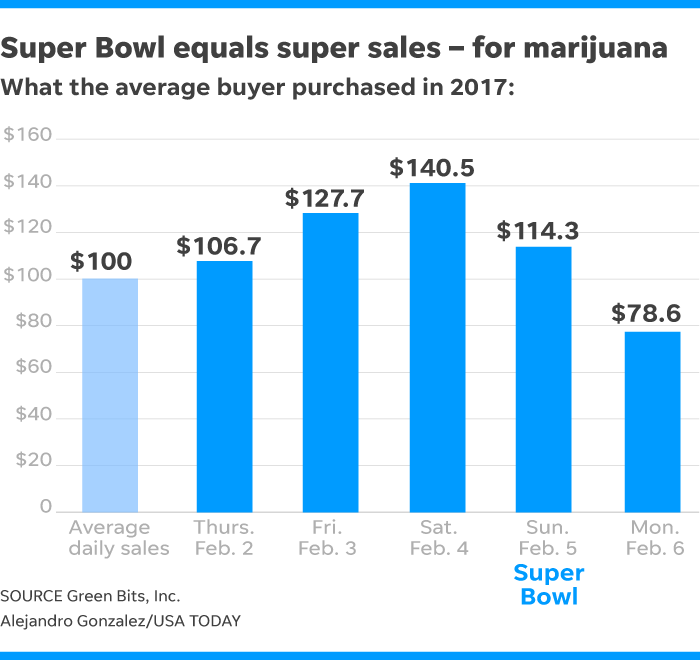 As the first state to roll out legal recreational weed, Colorado’s had nearly five years to explore the culture and industry of adult-use marijuana, which business-minded cultivators and retailers are happy to point out. But the statewide industry is quickly growing – sales were $1.5 billion in 2017, up 15 percent over 2016 – so even with Colorado’s stereotypically heady, laidback culture (think John Denver, jam bands and snowboards) there are plenty of new developments for both locals and tourists. Colorado’s overall weed culture still exists somewhere between the flashy, trashy reminders of its black-market past (“Dabbing Granny” billboards, anyone?) and a more evolved, less psychedelic take on the drug. That’s led to a steady growth of boutique and private weed events, such as chef-driven dinners, yoga classes and guided sessions on everything from painting to meditation. From downtown Denver tourist traps to high-country head shops, Red Rocks concerts to Aspen brunches, there’s a right and wrong way to do weed in this epicenter of recreational-weed cultures. Here’s our statewide guide. Finding cannabis in Colorado is easy to do, provided you’re near a population center. The Front Range of the Rocky Mountains essentially bisects Colorado into sparse, windy eastern plains and its western high country and Utah-kissing slope. The roughly five million people who live along the Front Range, from the northern Wyoming border to the southern New Mexico line, have the most ready access to the state’s green bounty. Amendment 64, which legalized recreational cannabis beginning in 2014, allows for municipalities to individually regulate the number and location of dispensaries, so not all pot-boom towns are created equal. The state’s Marijuana Enforcement Division approved 509 retail dispensary licenses for 2018, and they’re in the expected places: cities such as Denver, Boulder and Colorado Springs, and well-known mountain towns from Eagle to Vail. Driving into the burgeoning artist colony of Trinidad, on the New Mexico border, reveals a bevy of dispensaries aimed specifically at border-hopping tourists. Watching the green pins drop into place on a store-finder app, such as Weedmaps, Leafly or Where’s Weed – all App Store-approved and free – is the simplest way to plot your route. But Colorado-based weed-media, such as The Denver Post‘s Cannabist website (which, full disclosure, I have written for) offer original strain reviews and relevant news in addition to the address, phone number and user ratings. 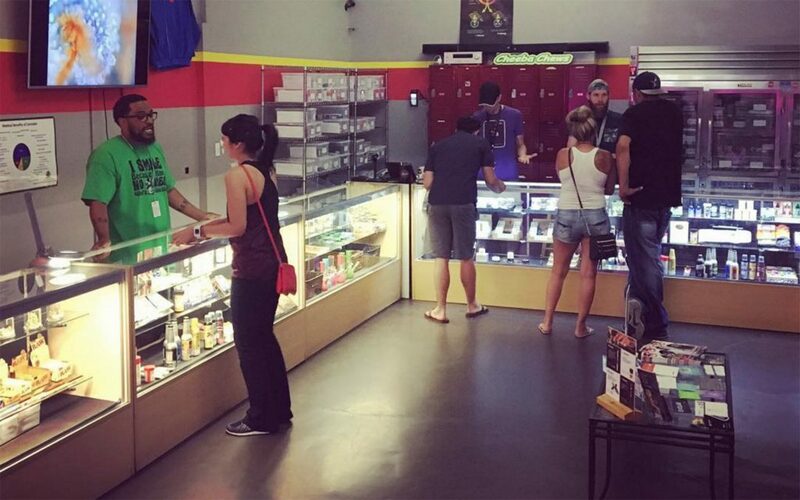 Unless you have a doctor’s note, make sure the shop you’re visiting is for recreational weed. While pot shops take pains to make it obvious, be sure to check that the one you’ve selected is retail and not medical, the latter of which requires a prescription and won’t let you through the door without it. Just as important is your proof of age – all pot shops only allow 21-and-up adults inside. No kids, no pets, no exceptions. Once you’ve established which shops are available to you, decide how far you’re willing to travel. Along I-70 east of Denver, for example, dispensaries tempt commuter and airport traffic with glowing green crosses and names like Lightshade, the Green Solution and Fox Street Wellness. Most are happy to welcome prospective customers who want to survey their mix of products, which typically include several different types of flower (smokable buds of various strains), edibles, concentrates and weed-related merchandise heavily emblazoned with the Colorado state logo (a red “C” with a yellow sun inside it, set against a blue-and-white background). If you’re pressed for time, dopedirectory.com offers a comprehensive list of shops along both I-70, the state’s main east-west corridor, and I-25, Colorado’s north-south interstate where the majority of the shops reside. Even after you pick a spot, don’t be afraid to let another draw you away. Shopping for weed in Colorado should be a fun, low-pressure experience. There are enough different types of retailers that if you’re not digging the vibe or selection at one, walk out; their competitors would be happy to take your business. I’ve been in dispensaries where the staff doesn’t seem to know if they’re selling cannabis or tourist trinkets – their fondness for cheap incense and weed-culture cliches (Up in Smoke posters, 1990s gangsta-rap soundtracks) a clear sign that they’re doing the bare minimum to cash in on a trend. Some stores feel sleek and impersonal, like the Apple Store-styled lucite tables and iPad menus at the tourist-angled Euflora, in downtown Denver. Some are intimate and tastefully sparse, such as East Colfax Avenue’s GroundSwell. Most have an upbeat, sincere yet serious customer-service aesthetic, so if you visit a store that doesn’t seem eager to educate you, or meet you at your level of knowledge, ditch it. Allow some time for your trip to the dispensary. If you’ve never visited a pot shop before, you’ll be tempted to ask lots of questions of your budtender, who can tell you about the differences between indica and sativa, the history of different strains and products, and what might be the best fit for your personality and experience level. You may annoy the eager shoppers in line behind you, but don’t feel pressured to rush through it and buy something hilariously strong, or more product than you think you need. Like a liquor store, it’ll be there for you to return to tomorrow – or later the same day, as an increasing number of shops are now open until 10 p.m. in the Denver metro area. The extremely weed-friendly cities of Edgewater and Glendale, each just outside Denver, have shops that stay open until midnight. Deciding what to leave the store with can be intimidating. Even a modest, one-off dispensary in Colorado usually offers several different types of flower strains, pre-rolled smokables, candy, baked-good edibles and beverages, disposable and reusable vape pens and concentrates (a.k.a. shatter or wax), in addition to gear (pipes, bongs, dab rigs, grinders) and stoney merchandise like T-shirts and hats. Retail chains such as the stylish Native Roots, Starbuds or Green Dragon tend to have a larger selection. The varying quality of the exact same strain – say, the sativa-dominant Blue Dream hybrid, which is popular and widely available – can vary from shop to shop, given that their selection often includes a mix of in-house grown and manufactured products, and outsourced or jointly produced ones. 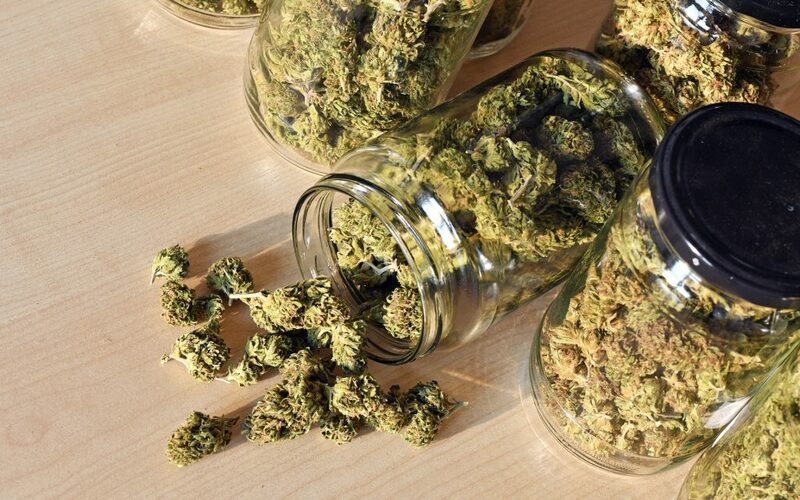 Most pot shops will allow you see and – just as important – smell samples of a strain before buying it, usually in a jar or other open-topped container. Let your nose be your guide, as that’s often a solid indication of flavor. And no, they don’t give out free samples. Read the full, original article here. As you make your way up or down East Colfax in Denver, GroundSwell sticks out like a sore thumb—in the best way possible. If you think the exterior looks nice, just wait until you step inside! Keep in mind, there’s additional parking behind the building, a huge bonus when driving on a busy street like Colfax. The moment we arrived, I felt at home. In fact, if I ever own a house, I want to hire GroundSwell’s interior decorator! 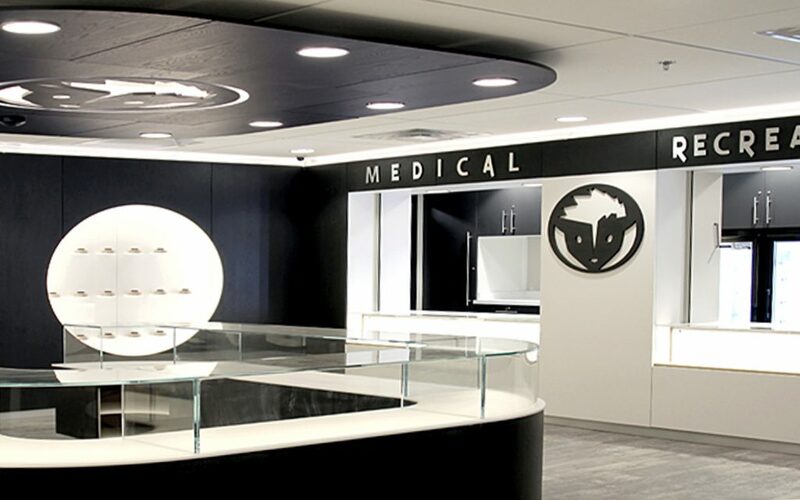 From the modern, wooden walls to the suspended product shelves and minimalist edible displays, everything about this dispensary is elegant. I was even told they plan on expanding the area near the med side of the shop to host events featuring local art galleries and musicians. I instantly fell in love with the flower at GroundSwell. They grow their plants in retrofitted storage containers customized to accommodate various environments, all based on the strain being grown. A handful of strains that stood out to me: Purple Cotton (insert drooling face emoji here); Cherry Lime (AKA, a one-way ticket to Flavortown); and their Oteil’s Egyptian Kush, a collaborative strain between GroundSwell and Oteil Burbridge, Grammy-winning bassist from the Allman Brothers Band and Dead & Company. Their concentrate selections are equally as prime, and they’ve managed to narrow down their edible selection to only the best of the best. Sometimes too many options can be overwhelming, so I appreciate their curation. GroundSwell has been a proud, active business in the Bluebird District for over a decade, and has proved to be a positive influence in the community. Their mission is to ensure each person who walks through the door feels valued and cared for, and that your needs—no matter how big or small—are thoroughly met. One of their claims to fame is GroundSwell’s sister company, ioVia, and their award-winning THC- and CBD-infused tinctures and transdermal creams. These products are loved by both locals and staff alike, and are an exclusive form of medicine that keeps patients coming back for more. I usually don’t mention member incentives, but the prizes at GroundSwell are too good not to share! Customer loyalty points can earn you anything from a free chillum to $100 in store credit to a whitewater rafting trip for two! for more information on how dispensaries are ranked. Highland Health packages their cannabis at the time of sale to ensure that their customers take home the freshest, highest-quality flower possible. Their commitment to helping their community of patients and customers is obvious; in fact, they’re so driven to help folks get the relief they need that they’re willing to send them to other dispensaries in the area if they aren’t able to procure specific products visitors are looking for. to pre-order your favorite strains. 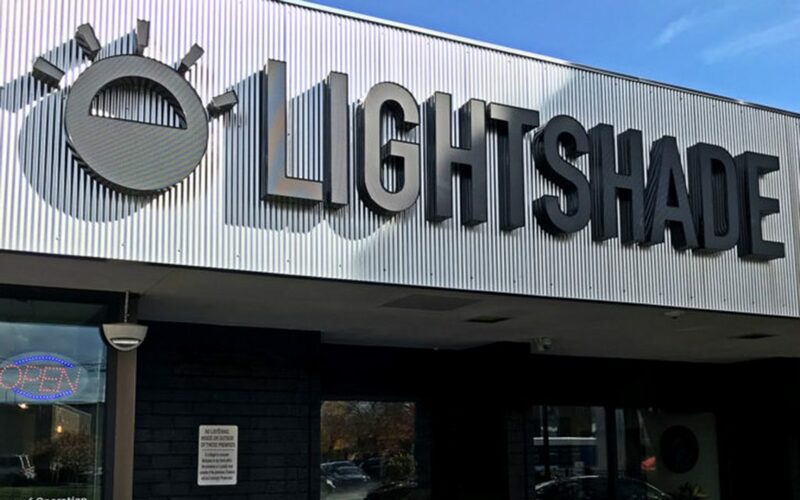 Lightshade’s Dayton location offers many of the same high-quality cannabis products associated with Lightshade’s other Denver-area locations, along with its own unique take on a passionate, professional team of helpful staff. Leafly reviewers appreciate their daily deals, convenient location, and large selection of flower, concentrates, edibles, and more. Established in 2011, Lightshade is known for its high-end genetics and potent cannabis. Among four locations, the 6th Avenue store stands out for offering a wide selection of product and outstanding service. At their original location, Rocky Road Remedies serves up high-quality medical cannabis to the fine people of Colorado Springs. 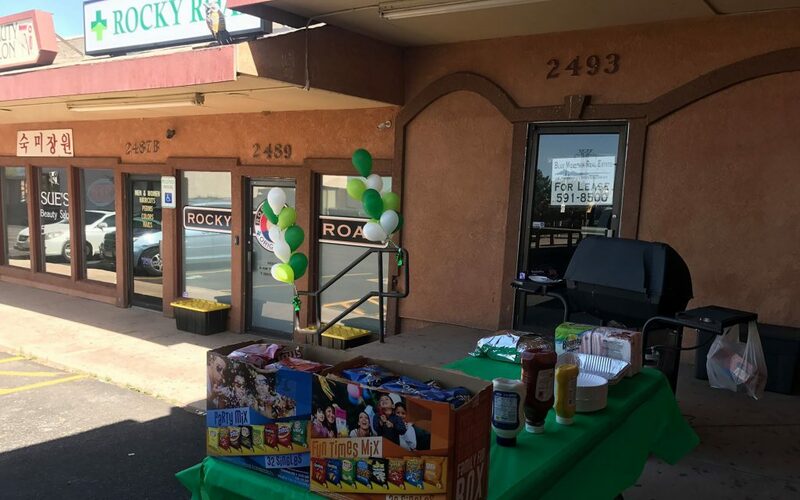 Patients love the team of sincere staff at Rocky Road Remedies, who each go out of their way to listen so that they can make thoughtful, tailored product recommendations. , is always on the menu, and keeps patrons coming back for more. Customers are blown away by Diego Pellicer’s unique and well-appointed layout, which feels more like an art gallery or trendy restaurant than a dispensary. While the ambiance is swanky, the budtenders at this beautiful storefront couldn’t be more down-to-earth: They’re always willing to take the time to answer questions to help customers find the perfect strain. Altitude’s ‘Frequent Flower Miles’ loyalty program offers special perks for members like double-points days and exclusive email offers as well as points for every dollar spent. While the rewards are nice, Leafly reviewers are most excited about Altitude’s friendly staff and wide selection of quality products. House of Dankness’s bright and clean, black and white interior is thoughtfully designed to easily cater to both med and rec consumers, but their commitment to serving everyone goes beyond interior design: This Denver dispensary offers a loyalty program as well as medical membership, allowing medical and adult-use regulars to earn points and prizes. This cute shop is located just 30 minutes from Grand Junction and is a favorite among locals and tourists alike. 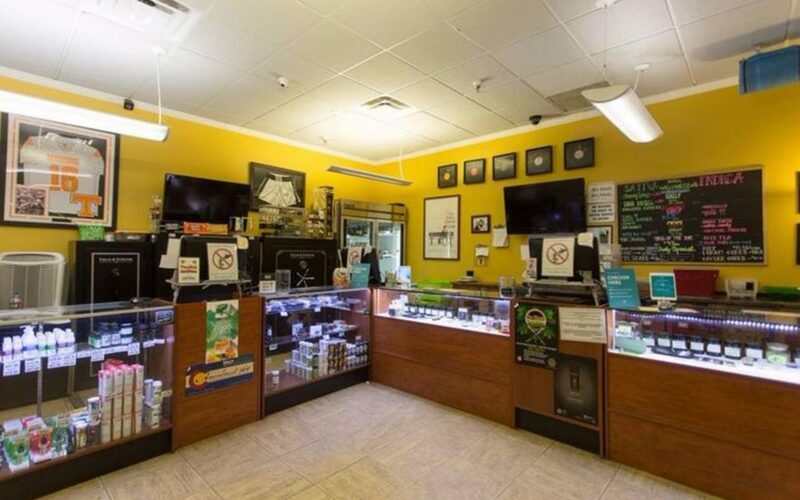 The Green Joint’s team of helpful staff are great at recommending strains based on preference, intended activity, and tolerance level, and customers love their generous daily deals. 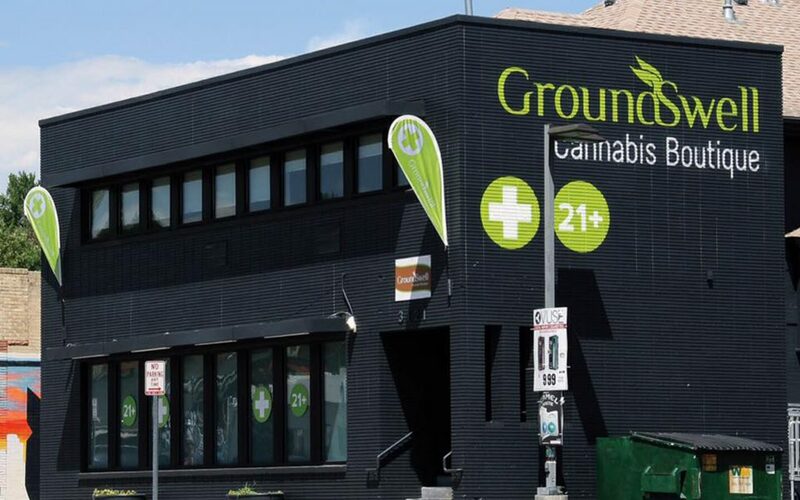 Located conveniently in the Bluebird district of Denver, GroundSwell is popular among medical and adult-use patients alike. Their state-of-the-art rewards program allows members to skip the line by preordering their favorite strains and products, as well as earn points for each purchase that can be redeemed for awards, savings, or swag. Altitude’s “Frequent Flower Miles” is not only one of the best-named rewards program in town, it’s also very generous! Regulars earn points that count towards free cannabis or store credit with every purchase and receive exclusive, members-only daily offers and specials. 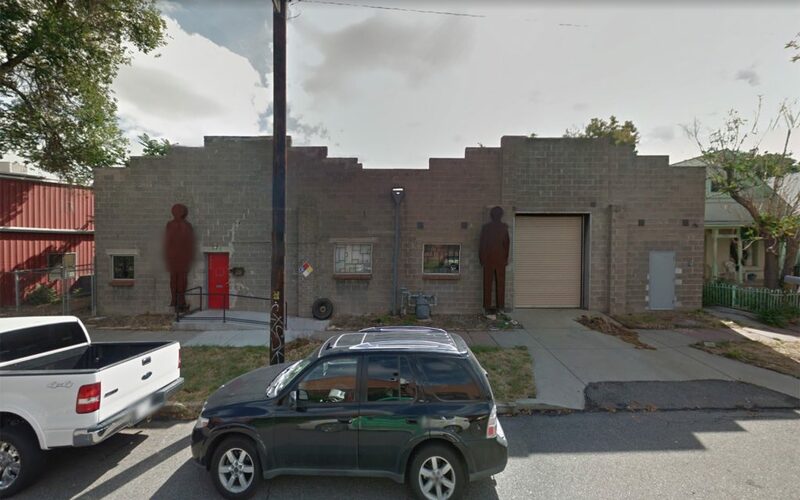 Plus, the staff at this East Denver location are celebrated for their compassion, warmth, and cannabis savvy. 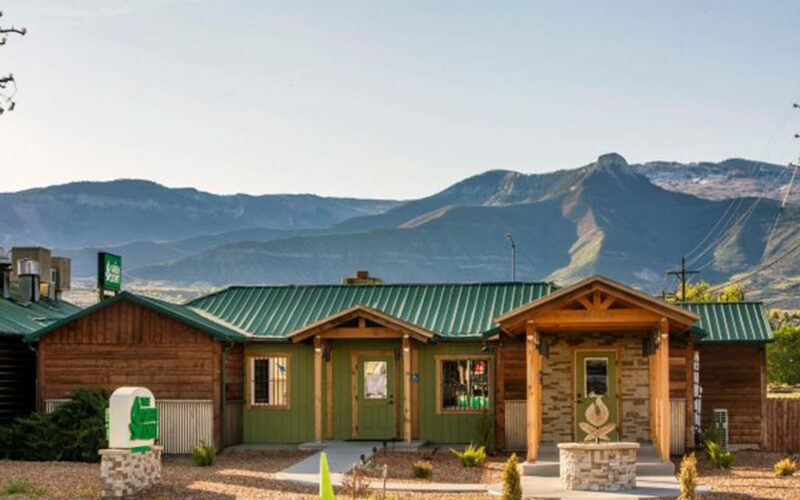 If The Lodge lacks anything in terms of its physical footprint, it more than makes up for its small size with its large selection of cannabis and hemp-derived CBD products, as well as its team of top-notch staff, who do an exceptional job at being laid-back, professional, cheerful, and real. Walking into Sacred Seed feels like walking into a well-appointed, comfortable living room, so it’s no wonder that the staff at this Denver dispensary treat each person who comes in like they’ve known them for years. In addition to super-friendly, knowledgeable staff, this mom and pop shop boasts an enormous selection of exclusive, high-quality strains. Rooted in Trinidad takes customer service seriously and it shows. Leafly reviewers go out of their way to talk about the amazing service, staff, selection, and deals at this Southern Colorado dispensary, which is cherished for its high-end products without high-end price tags. Located in the RiNo district in the heart of Denver, this laid-back dispensary keeps their flower in big glass jars so customers know exactly what they’re buying. Leafly reviewers use words like “amazing,” “funny,” and “awesome” when describing the staff at Sticky Fingers, who are known for making tailored recommendations to everyone who stops by. 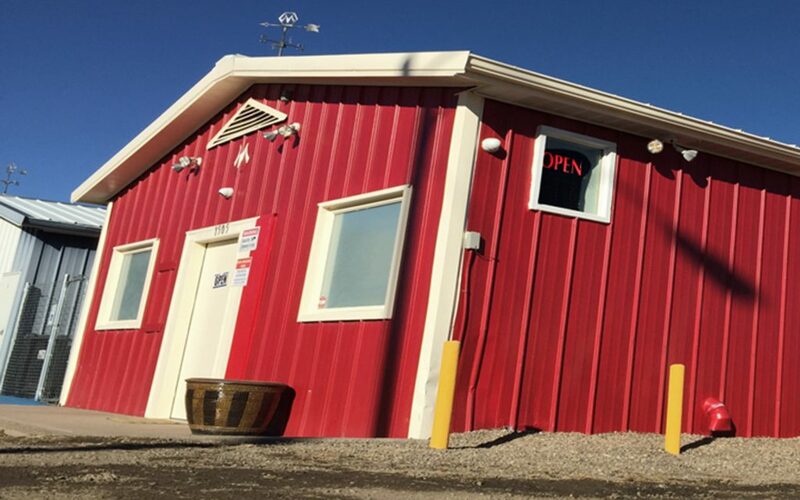 This family-owned dispensary is close to the Denver airport, making it popular among locals and tourists alike. Whether they’re from down the road or across the world, visitors to Fine Trees are blown away by the wide selection of high-quality cannabis and the welcoming team of downright hospitable staff. Herbal Wellness caters to the medical and adult-use cannabis community of Lafayette with a sweet loyalty programs, friendly staff, and diverse array of quality cannabis products. Plus, their shop dog Moose is known to greet humans with a friendly wag. A Wellness Centers’ laid-back vibe pairs perfectly with its large selection of flower, concentrates, edibles, and topicals. 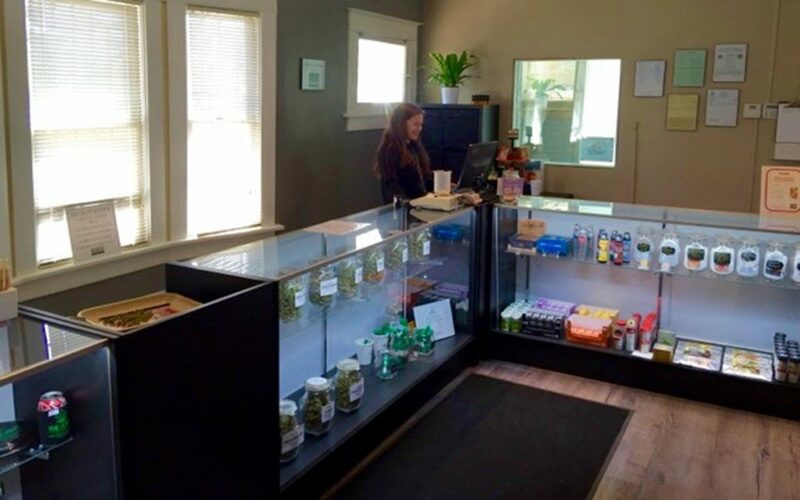 Leafly reviewers rave about the staff at this Colorado Springs dispensary, who know the regulars by name and treat everyone like family, allowing everyone to take as much time as they need to select just the right product for their needs. 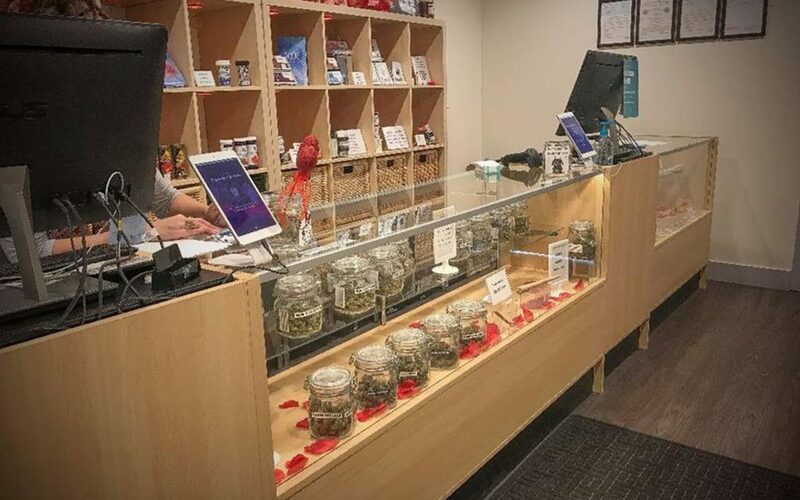 Colorado was the first state, along with Washington, to fully legalize cannabis almost five years ago, and that means if you’re headed to the Centennial State, you are going to wind up encountering hundreds of dispensaries. So in order to make your visit easier, we pulled leafly user ratings to compile a list of the top rated dispensaries in Colorado right now and plotted them on the map below. These are the only places you need to know about. Have a great time! You’ll notice most of the really good dispensaries in Colorado are concentrated in Denver, but the state’s two main college towns, Boulder and Ft. Collins, also represent, which makes sense since legal cannabis is probably a main reason lots of out-of-state students choose to go to school here. It’s no surprise that Dead & Company bassist Oteil Burbridge is a fan of marijuana. 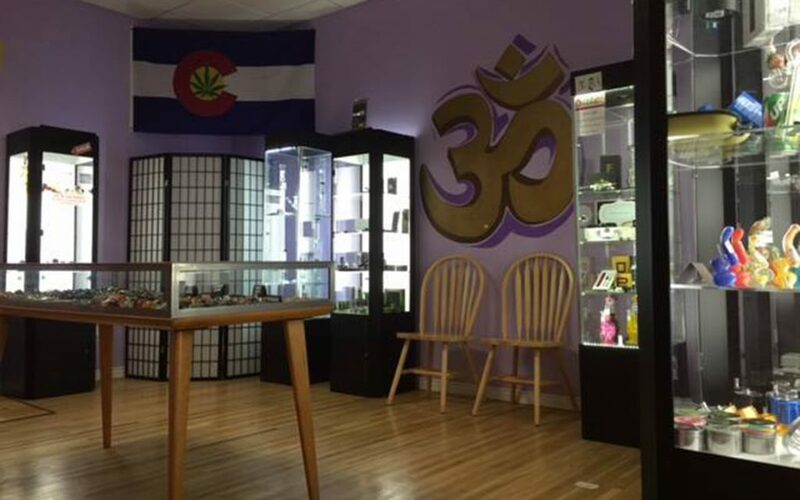 After the band’s debut trip to Colorado last fall, Burbridge and the band members shared some fun snapshots of them visiting some dispensaries. It seems that Burbridge has taken his love a step further, teaming up with GroundSwell Cannabis Boutique to create “Oteil’s Egyptian Kush,” a unique strain of cannabis. Boasting a sweet cherry flavor, this indica-leaning hybrid kicks off with a stimulating rush of energy and evolves into a body effect that sets you blissfully adrift. Oteil’s Egyptian Kush is ideal for losing yourself in a favorite song and grooving to the bassline alongside thousands of your closest friends. Burbridge shared a number of images on Facebook, capturing the GroundSwell collaboration. Check it out below!